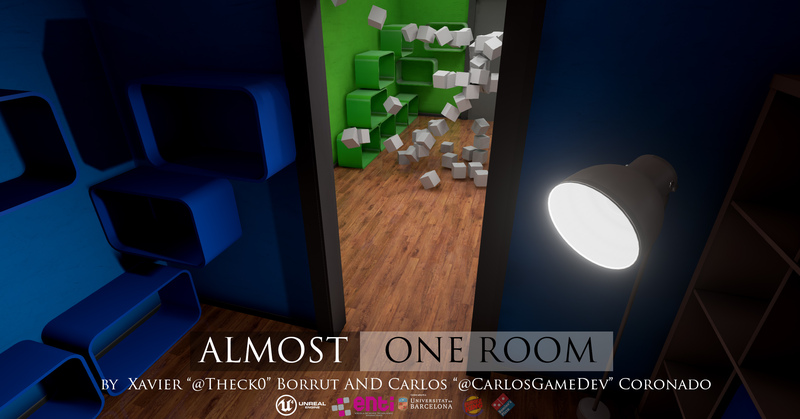 First Ludum Dare day almost ended, but we’re happy with the results we got so far. Here are some concepts and screenshots from us. Enjoy. Fixed hit box for the buttons so they are easier to hit. Below are screens showing the games monster before and after the redesign. On the left is the original on the right is the new one. If you are interested in following my development as I turn this into a real game you can follow me @JimmothySanchez. Thanks for reading! Move the location of the player when you touch the darkness to the respawn points was crashing the game with the first versión. We fixed the problem, and we hope you enjoy a great experience. We are working in more maps, and mechanics a round the Solar Gun to the steam versión. You can find our game here, thanks! I had no intention of participating in this #LudumDare. But when I woke up on Saturday with this idea. I said I have to do it! You have just arrived to Weird Gun Store. Despite the haste, in truth there´s no weapon left to choose. Really. Disappointed and shocked, you ask the shopkeeper how is that possible if you are V.I.P. there. He tells you as an excuse that many customers appeared and took them because of “Ludum Dare #32 challenge” taking place this weekend. He was dazzled with hundred of visits of programmers, game designers, martians and half-gods. However, luck is on your side, because this awesome shopkeeper lends you an unusual weapon to face this Ludum Dare and your daily mindblows. You have the chance to test an experimental weapon. Solar Gun, they call. With such a cool name you can´t say no to this unique opportunity. Actually, you needed it before you even know this marvel/– existed. To use it you need a license (duh! what were you thinking of?). Then you should go to the special lab facilities at Solar Factory. Once there, a new and completely different adventure with your shiny-brand-new-super-cool weapon will begin and test your skills. And you will wonder… is it worth it, downloading this 136MB? I will answer to your silly question, mortal… Could you keep living your normal life without doing this… and not knowing Solar Gun? Lets Go! And enjoy the game! Ty! Alright, the bare functionality of what makes this game the game it is, is starting to be complete! Anyways, I’m about to get some sleep soon. Tomorrow it’s the time for graphics, sounds and gameplay polish! And voting too since we’re having an election day here in Finland – I won’t stop LD from performing my duties. At first when I heard the theme, I was less than excited. But after some thought and debate with myself, I started to really like the theme and I knew right away that i did not want to create a space game, or a game that relied on characters with switchable worlds, or had multiple worlds that you could interact with at the same time. I wanted to create a game where you had to take some lovable rects and help them back to their own world or be selfish and go yourself and by doing so maybe teach you something about yourself. I created an entire game in 48 hours. Complete with graphics, music, sound fx, levels, game-play, and even morality choice. Pretty much everything. Dial-up internet, that speaks for itself, i almost missed the submission time-frame because of dial-up. I failed in the designing stage, the game I made did not resemble in any way to what i had designed on paper. At first I started with a 2d plat-former, by the end of a few hour long rampage of making the 2d game mechanics and art I realized it’d be better as a 3D plat-former. I had created mechanics and the art assets for a game I was never going to keep or finish, so I delete it all ! Big mistake, in retrospect i could and should have kept the art and tried to reuse them but i didn’t. I failed at creating a HTML5 port, mostly due to me never trying to build a UE4’s HTML5 project before and the UE4 HTML5 tool-chain being super finicky and really un-intuitive. Next LD I will have a proper build process for HTML5 ports before hand as well as offering support for Linux and OS/X platforms. Having proper design choices before development is key. Also having and knowing your tools for ports is highly important. Better than dial-up net, i should have taken my laptop to the local free wifi and uploaded it there. But regardless im getting better than dialup soon. In the end I don’t think I could have squeezed out much more efficiency in my work. Focusing that efficiency on the other hand was a huge problem. My development style was so erratic, i went from making music and mechanics to sound fx to art back to music back to mechanics to level design, and so on and so forth, but in the end I am happy with what I made and to me that makes me a winner of LD48. The game is about racism, segregation, and self-image. Where you and these lovable rects come from & Where you and they are going in this all connected world. Red, Gre²n, and Blu all come from different worlds but you the player are a mix of Red, Gre²n, and Blu, but somewhere along the way you lost your color, that thing that makes you, you; your self image. You are told that by helping these lovable rects to get back to their own world, that would some how help you get your color back. During the game you are either desperately trying to use the others as stepping stones to see their worlds, or helping them get back to their own world. All to reclaim your lost color. No matter what you do or how you do it in the game, at some point you need the help from the lovable rects. Yep, you read that right AffixIt is about race, segregation, and self-image. not sure if it is really clear within the game but if you read this and have played AffixIt, now you know what I was aiming for and if you haven’t played it go check it out before you read the rest of this. The game heavily relies on the fact the player is given a choice, either travel yourself, or put one of the lovable rects through the colored world portals. No matter your choice in the game all the portals lead to the same place at the end, where you can reflect on what you did, maybe in every level you helped only one color to their colored portal, maybe you tried to help one color per level, maybe you said screw these rects, im gonna invade their worlds. Maybe you noticed it didn’t matter their color and that any one of them could travel to any other colors world. Maybe you didn’t do any of those. No matter what you did or how you did it, all of our worlds are interconnected, it doesn’t matter where you come from. We all need help at some point from others to accomplish things. You cant do everything on your own. In the end we all end up in the same place. Maybe my game helped you realize something about yourself, maybe you thought it was pretentious, and to some extent it probably is. Totally not a doctored screenshot.